The 2019 Archery Trade Association trade show did not disappoint this year with a multitude of innovative gear releases. In past years, it seems there are two or three gear launches that steal the limelight and get all the attention; this year was much different. In fact, there were so many great new products that it was hard to stay focused on the next row of vendor’s booths and products. I found so many great items that I could share at least twenty-five or more, but I will limit it to ten of the hottest items that I found while taking in the trade show. The Oracle by Burris is one of those products that stopped many in their tracks when they walked by it on the trade show floor. The new Oracle rangefinder bow sight provides constant distance reading to the target and an exact aiming point instantly when activated by the pressure switch, even when the target is moving. The perfect trajectory compensation for the distance and shot angle is displayed in real time. It is designed with a water-resistant all aluminum construction weighing 17 ounces. A 20-yard fixed pin is always visible with a light bar that uses a floating yardage pin. There is no glass to scratch or fog up, and the view window is highly visible with an easy to read yardage display. The Oracle uses a CR123 battery for long life. The Oracle is compatible with arrow speeds from 200 to 420 FPS and is available in right and left-handed models. The New Divergent is just one among several new bows released for 2019 by Bear Archery. This lightweight 3.9-pound compound bow with its short 28” axle-to-axle is the perfect bow for the whitetail bowhunter for stalking or stand hunting. The Shockwaves limb dampening system, hybrid cams with a 75% let off, and the forgiving 6.5” brace height offers a smooth draw cycle and speeds up to 338 FPS. The Divergent is suitable for draw weights from 45 pounds to 70 pounds with a draw length of 25.5” to 30”. It is available in RealTree® Edge™, Veil® Stoke™, One Nation® Midnight, Kryptek® Highlander™, TrueTimber® Kanati™, and Iron. The Bear Archery Divergent is touted to offer fantastic performance without breaking your wallet. 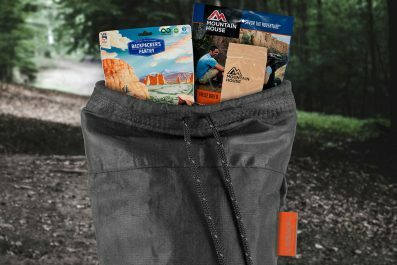 Badlands released the Vario Modular Pack System that promises to be “the most versatile modular hunting pack system in the world.” The Vario offers endless variations of pack and accessory combinations for every type of hunt, from a day hunt with a smaller pack to a multi-day backcountry hunt with a meat shelf. The expandability of the Vario allows the hunter to invest in the primary platform and a few packs and accessories to have a backpack system for all seasons. 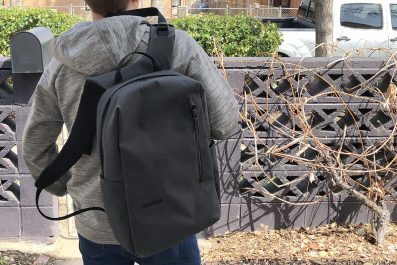 The Vario Modular Pack System starts off with the frame. You can then add either the Vario 50 Pack with 5,200 cubic inches, the Vario 33 Pack with 3,300 cubic inches, or the Vario Day Pack with 2,000 cubic inches. Also available are the Meat Shelf, Meat Shelf with UL Batwings, and Meat Shelf with Deluxe Batwings. The new Nikon ProStaff 7S delivers brighter, sharper images in a waterproof, lightweight package. The 10×42 fully multicoated lenses and Phase-Correction Coated Roof Prisms provide brightness and resolution perfect for hunting, even in low light situations. The Nikon® ProStaff 7S advanced optical system with long eye relief delivers the sharpest images for all users, with or without glasses. The durable exterior TrueTimber® Kanati finish makes it the perfect, compact, lightweight binocular for any type hunting. The new Nikon® ProStaff 7S is sure to be a favorite for optics among hunters and one that can be depended on in the field. ScentBlocker introduced the Cold Fusion Catalyst for 2019 combining the benefits of wool and the power of activated carbon offering superior absorptive technology which results in warmth, durability, and anti-microbial properties. The series offers the Underguard Base layers, mid to late season Adrenaline jacket and pant, Thermal Hybrid pant and jacket, and the Whitetail Pursuit parka and bib. Cold Fusion Catalyst accessories are also available in favorite pieces such as a cap, beanie, several styles of facemasks, and three different style gloves. The base layer system is available in Mossy Oak Break-Up Country and RealTree Edge, and the other pieces and accessories are available in these two options, as well as TrueTimber® Strato. The new Scent Crusher Travel Closet is the perfect companion for the traveling hunter. This easy to assemble closet with heavy duty liner and zippers is durable enough to use even outdoors. The closet measures a roomy 69”x28”x21” when assembled and breaks down and packs away in a convenient carry bag. There is a hanging bar and four configurable shelves included that allow for folded clothes, as well as hanging clothes. A digital maintenance-free ozone generator is included with the Travel Closet that is powered with the included 12V adapter or 110V charger. The chemical-free ozone destroys odors in as little as 30 minutes or less. It is perfect for hotel rooms, lodges, or hunt camp. This easy and effective solution for keeping hunting clothes organized and scent free from Scent Crusher® is also a great solution to store clothes at home while keeping them scent-free. 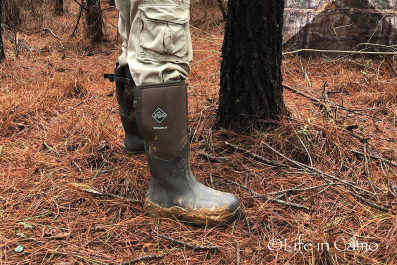 The Original Muck Boot Company Woody Max is not new on the market, it has been keeping hunters comfortable in the field for over ten years when hunting in frigid temperatures. New for 2019 is the Woody Max in RealTree Edge™ and Mossy Oak County® with a Hunter Orange fold-down interior. Hunters can expect the same 100% waterproof 5mm Neoprene Bootie, 2mm thermal footbed, and EVA midsole that they have come to love with a warm fleece lining in Hunter Orange that is designed to fold down easily to varying lengths. This new feature found in the Woody Max from The Original Muck® Boot Company is an excellent addition to a hunter’s late-season gun hunting gear. If you have had any interest in the crossbow market over the last year, you already know that Ravin Crossbows with Helicoil™ Technology were all the rage among crossbow hunters. As if last year’s models were not enough to take the crossbow community’s attention by storm, the new 2019 crossbows are even more impressive. The new Ravin™ Crossbows R29 and R26 drew a crowd on the show floor. The R29 boasts a lightning speed of 430 FPS with 164 foot-pounds of kinetic energy out of it 29” long 6” wide axle-to-axle frame that weighs 6.75 pounds. If that isn’t impressive enough, the new R26 comes in at a speed of 400 FPS with a 26” long by 5.75” axle-to-axle frame weighing 6.5 pounds to make it the most compact crossbow on the market. The Tactacam 5.0 takes self-filming to a whole new level with its Ultra HD 4K Resolution and Live Streaming capabilities. Available with Remote Sync that offers power on auto record, pause, power off, recorded footage length, and battery life at your fingertips. The 5.0 offers 8x zoom and image stabilization technology with an ultra-high-quality lens and low-light sensor resulting in quality footage. The built-in WiFi allows for live streaming capabilities and the Tactacam App allows for quick viewing, start/stop recording, and easy sharing with friends or social media. All Tactacam accessories are compatible with the Tactacam 5.0. Several new accessory packages are available from Tactacam for new and existing customers. This year Vortex Optics has updated their rangefinding binocular in a compact design weighing 32.3 ounces and measuring 5.75”H x 5”W. It is impressive how Vortex can get all of the critical components into such a streamlined unit. The Vortex Fury® HD 5000 offers 10x magnification with a 42mm objective lens that is popular among hunters for stalking or stand hunting. The high definition lenses with XR™ lens coating results in a bright, clear picture and superior light transmission in low-light situations. The rangefinder has a 5 yard to 1,600-yard focus range for game animals and a 5 yard to 5,000-yard focus range on reflective objects. Controls for the rangefinder are located on the top right area of the binocular for easy manipulation, and it allows for one-handed function. The new Vortex Fury® HD 5000 is an advantage for any hunter. I look forward to taking many of these items on the hunt with me during the spring and fall seasons and sharing in-depth reviews.